Heygate Application - Will objectors get a fair hearing? 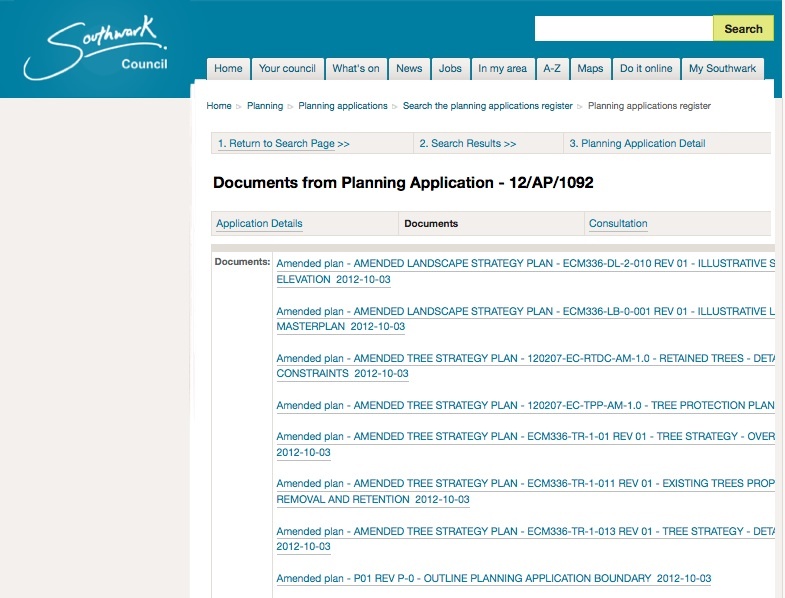 The biggest planning application ever submitted to Southwark Council is due to be heard by its planning committee on 15 January - the Heygate outline masterplan (12/AP/1092). It has taken Southwark 9 months to evaluate this huge application with more than 350 supporting documents, and objectors are frustrated that they will only be given 3 minutes between them to voice their concerns. The 35% Campaign and other objectors have made the very reasonable request that they be given more time - so far without any success. There are well over 200 objectors to the masterplan application; if they all wished to speak at the hearing, then they would have less than a second each to voice their objections. This is plainly ridiculous: whatever one thinks of the merits of the application, one of this size should not be determined after only hearing 3 minutes worth of objections. It makes for bad decision making and discredits the whole process. We have cited examples of similar scale developments where other councils have made changes to procedure in order to accommodate the volume of objectors, but Southwark council refuse to follow suit: around 300 objections to the Ward’s Corner development saw Haringey Council give objectors 30 minutes in which to make their representations to the Committee; a similar number of objectors to the King’s Cross regeneration development saw Camden Council spread the planning committee hearing over 3 entire evenings. Southwark council’s defence for this absurd approach is that objectors can rely upon committee members asking all the right questions after hearing the objectors. Past experience shows this is not always the case. Quite often committee members who don’t wish to engage in debate simply stay silent. It is not too late for this to change, and we hope that Southwark has a change of heart between now and January 15th. If you think this is unfair and want to add your support to our request to extend the 3 minutes, you can email the Chairman of the planning committee: Cllr. Nick Dolezal - nick.dolezal@southwark.gov.uk.